£2,400,000, £2.4m, two million four hundred thousand … however you write it, it’s not an insignificant number, and yet that’s how much profit is being made each day through parking charges. Note the word profit, not revenue. And despite that, some motorists are facing increases of up to 230% to park their vehicles from next month. The RAC Foundation are predicting that profits will clear £1bn for the year 2019/20. That’s before we get to the whole ‘parking at work’ issue, and heaven help you if you happen to drive a diesel that’s a few years old. ‘Persecuted’ comes to mind, as does ‘cash cow’ and ‘stealth tax’. Back in November 2018, we wrote an article about councils making record profits from parking, fines and charges for motorists daring to enter a city centre, we also noted that one in ten shops were empty, footfall in city centres fell by around 1.6% and out of town shopping was on the increase by a similar amount. With that said, there was an element of at least a vague attempt by councils to assuage the concerns of the pro-motoring groups by keeping evening & Sunday rates lower; they couldn’t claim congestion was a problem, nor was there a need to limit church-goers from entering the city en masse. But come April, all pretence of ‘fairness’ ends. Across the country, a number of councils are already planning on millions of pounds worth of extra revenue generation for the coming year and beyond, Edmund King, president of the AA says: “Some councils are already budgeting to make millions of pounds more from motorists, on top of the millions they already get, by increasing parking charges, extending restricted parking zones, enforcing new bus lanes and looking for new opportunities to catch drivers”. Councillors are insisting that higher fees are necessary because of major budget cuts from central government, as well as “the need to tackle congestion”. Perhaps that’s the definitive proof that the motorist is seen as the answer to any budgetary shortfalls. Analysis from a money comparison site has shown that revenues from parking charges have increased by around £170m in the last five years, currently sitting around £867m per year, and yet the same analysis tells us that councils are spending approximately £400m less on road improvements than they were five years ago. So where is that money going? Some councils are on the verge of bankruptcy; in the early part of 2018, Northamptonshire County Council effectively went bankrupt, and a survey by the Local Government Information Unit thinktank found that typically, 8 out of 10 councils were gravely concerned by their finances. On a completely unrelated note, Northampton council are trebling evening car parking charges, but it isn’t all bad news, Councillor Martin Tett, transport spokesman for the Local Government Association says that councils are on the side of the motorist and shoppers. Perhaps the most significant blow to motorists is an upsurge in paying for their right to park at home, and some councils are looking to maximise what they feel is acceptable; Hampshire, Reading, Cambridge, Brighton and Exeter are all looking to raise residential parking prices, with Hampshire being the most … optimistic … with up to a 230% increase. Residents of Camden should feel grateful that they’re only looking at a 70% increase in permit fees, and that in itself tells you that something is seriously wrong. When motorists are feeling relieved that a 70% increase in what amounts to an absurd stealth tax is the better option, you have to wonder just what happens next? Indeed, residents in Romsey paying £50 per year to park at home doesn’t sound like the ending of the world, but an increase from £15 is significant, and once residents get used to £50, will that rise again by the same percentage? £50 becomes closer to £170. The need for a car has never been greater; high parking costs have pushed traffic away from city centres, city stores raise their prices in a bid to survive lower footfall, shoppers can’t afford to spend more than necessary on their weekly shopping so drive out of town to their nearest supermarket where prices are cheaper. The statistics bear that out; there is no need to manipulate facts to give a pro-car viewpoint. Yes, there are a number of people who agree that cars should be made to pay for air pollution, for damaging their environment, for bringing pestilence to the world, but a world without motorised personal transportation or the ability to deliver goods to the far corners of East Sussex or the wilds of the Highlands doesn’t make sense either. All we need is a balance. Do you think this is just another shot at the motorist? Another stealth tax dressed up in green legislation? Or is it genuinely a good thing? Let us know in the comments. Its just local council’s trying to cover up their total incompetence at managing their budgets, They already charge businesses extortionate business rates and then want the shoppers to come and pay the authorities too. Local councils keep raising rates and don’t provide improved services. Just another tax on the public that they have no option but to pay. we have 600 MP’s, all incompetent. I would have to agree: Brexit, amongst other things has demonstrated just how insipid, characterless, our current MPs are as a whole. There are just NO personalities. I hated Tony Blair, and Brown, but we all knew they were there. But it’s people like you who vote them in (or can’t be bothered to vote them out in some cases). “we have 600 MP’s, all incompetent” They are not that good!. Got that wrong mate. The government sets business rates. The council is just the tax colkector. In Rochdale we have 60 councillors who between them claimed over £800,000 in “expenses and Special Responsibility” payments… Seems the only part of the budget not subject to cuts is the one that the councillors get their money from. Are you prepared to pay 50% on anything you get paid over £2,000? Probably Gwen isnt doing a “voluntary” job!! Try driving from oxfodshire to the lake district for work. It’s not a fun walk. Better, cheaper trains would be great! In manchester, any trains not crammed to the doors and massively expensive with large fare increases would be great..!!! ..except my local Rail station car park is 8.50 per day. It just went up 50p per day – that’s an increase of 5,5 percent, way over inflation – CPI or otherwise. and all they do is provide the concrete and a meter to pay for it,. so on top of ruinous season tickets (mine is £5100 we now have over a thousand a year parking charges. Jo, I used to start work at 6am. If I did not use a car it would mean, Bus to station 5 miles, 2 train journeys, 1st train 6.10am, bus to work 2miles all taking at least 2 hrs and then the same return 12hrs later. One tiny problem was that the first bus did not leave until 7.30am. the train 6.10am. My work was 16miles from where I lived with some very steep hills to negotiate if on a bicycle . So you can understand that I find your comment a little amusing if not off the planet. As a nurse i have done my share of early starts and night duty, so i agree with you that shift workers should have priority parking at work if they need it. If you’re driving at 6am or 9pm or whatever,, you’re not contributing to rush hour congestion, either. Why do you need priority parking if you arrive before anyone else? I’m not getting at you, Jo, but I don’t follow your logic. Surely the car park is empty when you arrive? I mean that the work car park should have a sliding scale of charges, so the low-paid health care assistant who works earlies, lates and nights pays little or nothing; the better-paid ward manager on similar shifts pays a bit more, and the senior manager on a fat salary who works 9-5 pays the most. Everyone working there should get a certain amount of pre-paid vouchers, but like everything else, local councils are short of money — the government’s so-called austerity programme — and those miserable soandsos are picking on the weakest. Thanks for your clarification, Jo. My commuter trains are already full to bursting. They cannot squeeze any more services onto the tracks as the rail lines are already full. So, Jo, how can they possibly encourage more of us to commute by train? You’re in cloud cuckoo land 😁. My CEO earns just over £100k pa. We have 1 Director who earns under £80k. I don’t know pension payments but can find out. I don’t claim – these details are freely available. As to how many contracted out you would need to find out from the respective County or Unitary Authorities. I’d like to point out I am not blaming everyone else as YOU claim (please indicate where I am), I am just corrective misinformation. My Council is considered the best in my County, but i agree this is far from the case with all. If its all to much for you then resign… this constant bleat from politicians of all side of “it wasnt me” its their fault makes me sick. Local authorities have mad 800,000 redundant, but we still have the same if not more councillors with ever increasing expenses payments…. we dont need so many councillors. I’d distinguish between the Councillors and the Staff. The Staff rarely, if ever get to go on junkets. That’s the preserve of politicians. The same politicians that set and approve the councils charges for things like Parking Fees. Its the political system that’s broken. Then vote them out and mend it. ALL councils should be held liable for their incompetence in running their boroughs so inefficiently. Asking for more money and extorting money in many nefarious ways? Criminal! And you do that through the ballot box. James, that is a requirement for the job, if you’re not a total muppet you don’t get a job higher than the bin man. The incompetence here in Preston is the same as else were, instead of reducing rents to keep an income for life, thick as pig s#it council sell the buildings off, more likely than not way below market value!!!! So smart arse council members, what do you do next year when you’re skint? Put parking an council tax up again? We only have so much money you know, bit of a fixed budget here. Yes, I live in a city. Most people do, and that is where sustainable transport efforts need to happen. I’m not suggesting that people who live in an isolated rural area (which I have done myself in the past) should not use their cars. SOME OF US ARE SO DIABLED TAKING YOUR SUGGESTIONS ARE NOT AN OPTION HOPE YO HAVE ALONG AND DISABILTY FREE LIFE. Jo, i do not believe that your statement is borne out in the real world, go up and down the country and you will see the high streets in decline compared to a decade ago. The pollution of the environment comes from many sources not just the domestic car user. good idea – or a bike or e-bike. Typing this having just cycled to the rail station! No wonder cyclists get a bad name, “Texting While Cycling”!!!! Oh that offence doe’s not apply to cyclists doe’s it Jo? I was not texting while cycling and never do. On the other hand I experience a dangerous and illegal ‘close pass’ from a car driver usually several times a day, and invariably see someone using their phone while driving or jumping a red light on most journeys. Maybe you don’t text but I have seen some cyclists doing just that. I couldn’t even if I wanted to as I can’t use my phone one-handed and never learned the trick of taking both hands off the bike handlebars. But there’s no specific law about it as when driving a car – though you could in theory be charged with careless cycling. Meanwhile, drivers distracted by their phones kill one person every 10 days on UK roads and seriously injure hundreds every year. I have yet to hear any reports of the carnage caused by people texting while cycling. Not everyone is physically able to ride a bike and many disabled have lost their mobility payments and cannot get a parking permit for being disabled. Also you cannot carry much on a bike. 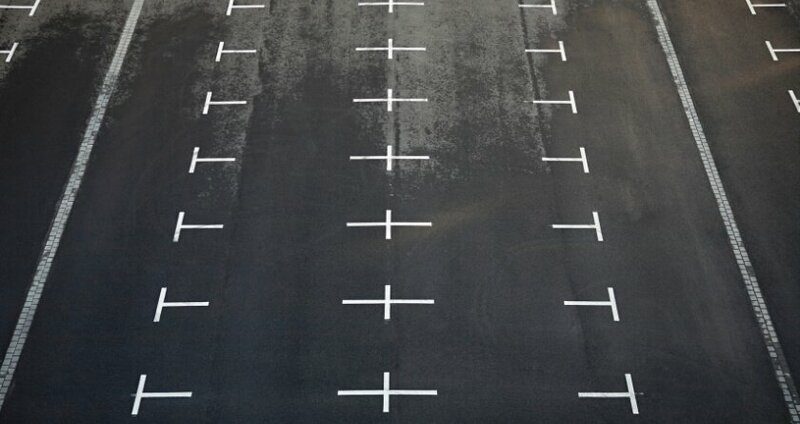 Having previously ridden a motorcycle (gave it up due to the inherent dangers of doing so) I find it’s not worth the risk to save a few quid on parking – also no brainer. Harry, no-one is suggesting that people with disabilities should give up their cars. I think car parking charges are a joke. I went for a hospital appointment for a blood test. I was sat there for over 2 hours and if I had driven and parked it would have cost me £4.50. That is disgusting. So now where possible I take the bus because I have a bus pass and shop at Morrisons and is free to park so I shop there …… Its just a racket…… The roads in Buckinghamshire are disgusting.. so where is the money going…..
Our surgery has stopped doing it, no nurse anymore. Unfortunately not all surgeries give that option. If you have a ‘free’ bus pass, this is paid for by your local authority – this is another thing that has to be paid from parking charges. Zoggie, I am merely stating a fact, whereas you seem to be insinuating that where a person adds to the discussion by providing actual facts it is a complaint. NOTHING is Free in this world, it costs and has to be covered somewhere. It does NOT have to be paid for by parking charges! According to your argument, EVERYTHING would have to be paid for by the motorist paying your excessive parking charges. Parking fees are to pay for the overheads of providing parking facilities, so we can access shops, libraries, hospitals, or even the council office. Council Tax is there to pay for things like free bus passes! Not a criticism of you Chris, but I’ve had reason to visit MK twice now in the last couple of weeks. Took my dog for a walk in one of the parks, absolutely no litter bins or dog waste bins, I clean up after my pet, especially when visiting other peoples neighbourhoods, but nowhere to dispose of pet litter so took it away with me. I couldn’t help notice the amount of litter in the streets too. Maybe MK council could invest in a few litter bins! How does all this extra revenue actually clear the pollution in the the air anyway ? I’ve been banging on about this for years, this parking lottery when parking in hospitals is an absolute joke, trying to guess how long to put on the meter , always overpaying to ensure that you don’t fall foul of some overzealous nazi traffic warden if you’re a couple of minutes late. Pay on exit is fairer and wouldn’t mean ripping off the patients or visiting family members. YOUR LOCAL HOSPITAL CAR P[ARK CHARGES ARE CHEAP COMPARED TO MY LOCAL HOSPITAL. MY WIFE HAS A BLUE BADGE BUT WITH ONLY 3OR4 SPACES I CAN ACCESS DUE TO ALOW ROOF TO THE DISABLED CAR PARK WITH A LARGE VEHICLE I CANNOT USE IT, YET THE UPPER FLOORS ARE ABLE TO ACCOMMODATE MY VEHICLE BUT I HAVE TO PAY THROUGH THE NOSE. ALSO VISITS TO THE HOSPITAL ARE FREQUENT SO THE COSTS HIT US HARD AS WE ARE BOTH PENSIONERS. Reduce the number of councillors from 3 to 1 per ward. Vote people onto your council who will do it. Once more it is ” Milk the Motorist ” . Don’t forget the majority of Councillors are in it for themselves and haven’t a clue how to save money. So the wastage continues on a huge scale and so somebody has to pay! So vote against them and for someone (yourself?) who will do something about it. I think that all Councillors and council officials should be made to use the bus services and bicycles they keep telling motorists to use. Then they might understand why people use cars! You are assuming that there are bus services available all over – not so in rural areas. For example I could get to work on one day a week for a couple of hours only if I caught a bus from my village to the town for my last job. Now even that has gone. As 11.5 miles mostly along a busy trunk road, the cycling option was not a safe or viable option. Thanks for your contribution to the environment. John, if you drive an extra 10 mile round trip to avoid parking charges, it’s costing you at least £2.00 in petrol and – assuming a steady 30mph journey- 20 minutes of your time, which is worth at least 3 quid at ‘minimum wage ‘ rates. So unless the parking costs more than a fiver you’re losing out anyway. Drivers in all boroughs are seen as the the golden goose forever laying golden eggs they are just waiting to spend. They know drivers wont give up their cars no matter how much they raise the rates and charges. You have to actually do something about it. Don’t post on here. Get out there and vote them out. I do vote but it makes no difference. I still get the same local council and the same party MP. I won’t stop voting but its rather a forlorn hope to expect any change and get a good leader who actually gives a damn about the people. I agree that this is a ridiculous increase in parking fees with retail shops already struggling to compete with online shopping. I, as a pensioner, cannot afford to keep finding these increases so it will have to more online for me but I hate not being able to support the shops where I live in Hampshire. The poor motorist is taking a massive hit with increases in car tax, fuel and parking charges!! So so unfair. Thoroughly sickened by the way we are being ripped off. Camera van on the A38 at Plympton on Wednesday at 0820 just to catch those poor buggers trying to get to work on time! A safety concern about speeding pull the other one? Just revenue raising. I wonder what happend to the all road tax going to the upkeep of the roads, i believe this was a goverment promise a couple of years ago. The government has comitted to fund the EU to the tune of billions every year, it has to get the money from somewhere. Perhaps the government could pay some of it from the MP’s solid platinum pension fund and give something back to the people who put them there. After all its just about the only good pensions scheme still going. Here in Cornwall County Council have given themselves a wonderful pay rise, put up Council tax, Devon and Cornwall Police, wasted thousands of pounds trying to amalgamate with Dorset police, who is going to BE SACKED for this blunder. NOT resigning with a full Pension , put back on the beat would be great, on the fat cats salary, would put EXTRA POLICE ON THE STREETS. I’ve got lots of good ideas, BUT NO ONE would listen, Just look at our Parliament and Councils. These parasites are just legalised thieves. Council policy is biased against the motorists. My council charges for disabled drivers to park, Hampshire which starts just along the coast is free. Bournemouth want to attract visitors , but have closed car parks to build flats on the ground. More rates of course. But where do the tourists park? You’re absolutely right. The motorists are just a cash cow for this government and local councils. The money they get from road tax, but only a fraction is spent on the roads. Tax on fuel and parking charges, no wonder the hi.street is going to pot. Now they’ve changed the road tax. Soon we will have to wear a helmet with a breath meter on it. There never was a truer saying, the rich get richer and the poor get poorer. I’ve paid for my driveway, to be paved and tarmacked, so why shouldn’t households with cars parked on the street pay?, the roads are maintained and cleaned by the local authority, how many car parkers sweep the street,None, so they can pay, if I use a car park, I pay. Just means less people travelling to the town centre shops, more parking on roads meant for travelling not parking. Who do you vote for? Cat sh!t£ or dog sh!t£,they’re both different but both sh!t£. Been screwing this country up between them for years. Let’s form and vote for a new common sense party. No wonder are high streets are struggling , just shop online save on parking fees petrol and also cuts pollution should suit the green lobby and government alike. In my local town centre you can park free for up to two hours at Waitrose and in the council car parks. Hopefully this has had a positive effect on footfall in the local High Street. Yes I agree, in my area (west midlands) there are plans for more average speed cameras on the grounds of “safety” but can you imagine driving some distance across the west midlands and not going above the speed limit once. Parking charges, yes, what is the quickest way to send people away from towns than having to pay a small fortune to park, I plead guilty to a lot of shopping on line for that reason. Council’s are just using the motorist to try and make up for their self induced shortage of money.